Though they may not be the first thing you think of when planning your latest marketing campaign, newsletters, postcard or brochure, a newsletter allows you to give your customer a large amount of information about your company or product instead of just being limited to a single sales pitch. This added information gives the customer the feeling of getting added value of getting information they can use from reading your materials instead of just feeling like they’re being sold. 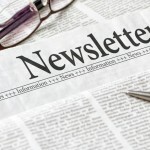 Newsletters can also be used internally with your employees. The theory is similar to the concept of letting the customer feel he or she is getting value beyond the sales pitch discussed above. Instead of sending out memorandums which only contain essential business information, you can use the newsletter format and its expanded space to get that information out while also puttng in information which the employees may enjoy or be able to use, like employee profiles or articles on subjects outside the scope of the work environment. Finally, the newsletter format can be used to prepare other publications like instruction manuals or annual reports. You can prepare these items using the newsletter format and distribute them to your customers. There are dozens of uses for newsletters beyond what the name implies.